Tuber lyonii, known as the Pecan truffle, is native to North America and is most commonly found in the southern United States in association with Pecan orchards although it also is found in native forests from Florida north into Quebec, Canada and west to the Rocky Mountains. They are prized for their unique slightly musty, nutty aroma. 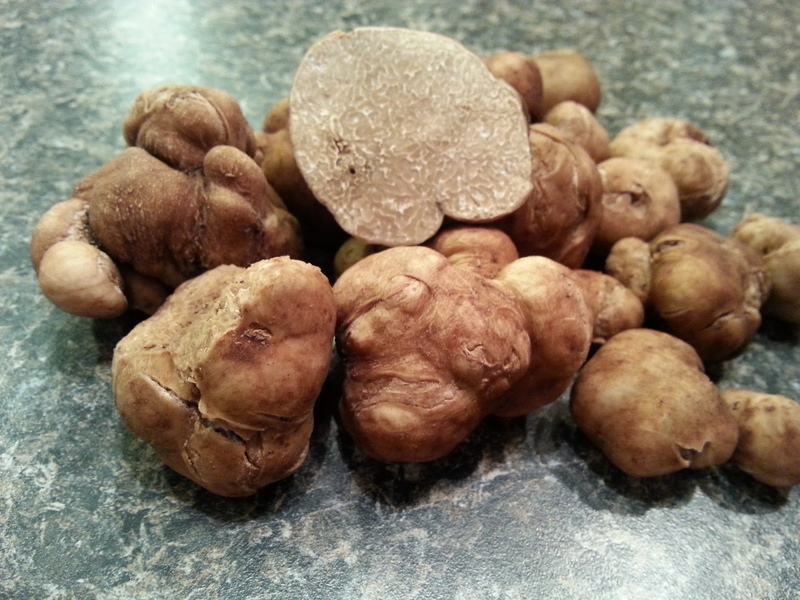 This white truffle has a thin buff colored skin, and can be slightly knobby with a marbled toffee & cream to dark coffee colored interior when ripe. 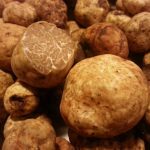 They are used primarily as aroma and flavor accents in pasta dishes as well as in creole cuisine with a slightly umami flavor. Pecan truffles can be found almost all year round in the wild, but the main season runs mid to late summer through fall. 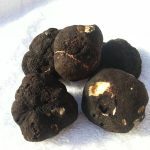 Pecan truffles range in size but are generally on the modest side, often being 1/10 to 1/4 of on ounce (about 3g to 10g) per truffle. Please note that this product MUST be shipped overnight via Fed Ex or USPS. We are currently experiencing a glitch in the system so please select “LOCAL PICKUP” as your shipping option upon checkout. We will separately invoice for overnight shipping. Domestic Shipping via USPS is $35 per shipment for anything under 4 ounces to most locations. We apologize for the inconvenience and are working to solve the problem.